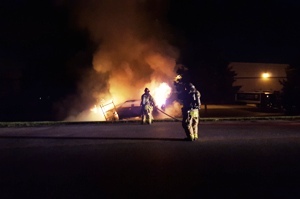 No Injuries in Auto Fire at 1400 Nitterhouse Dr.
As a result of a close call, a driver in the Borough called the engine company out for an auto fire at 1400 Nitterhouse Drive. The vehicle was in motion when the passenger area started filling with smoke. Once the smoke was noticed, the driver panicked and jumped out of the vehicle at a low speed and nearly was run over by a SUV. 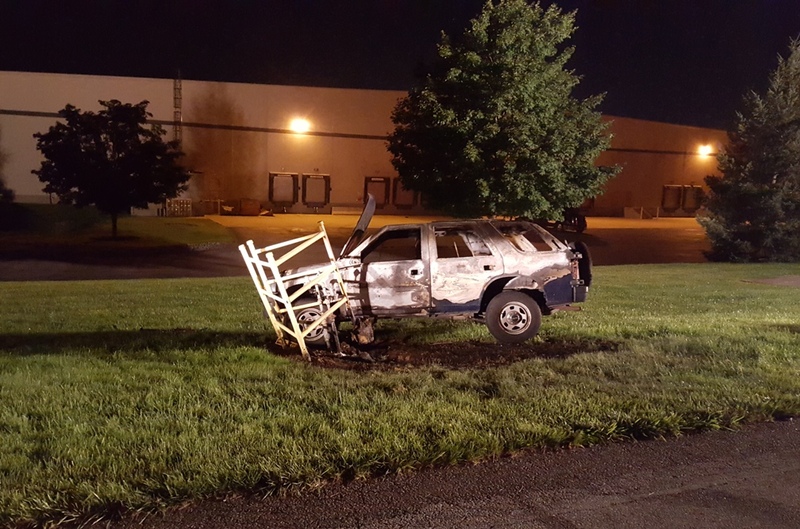 The vehicle then continued to travel for over 100 yards before it came to rest against a high pressure gas line. Engine 1-4 arrived to find one vehicle fully involved. Crews from both Engines 1-2 and 1-4 got a quick hit on the fire before any further damage was done to the gas system.